EVERYONE wants to help SOMEONE. If you think about it, it’s true. Every person on planet earth has the interest of someone else in mind that motivates them. That help might not always be benevolent in nature, many times help in one direction leads to destruction. Our hope at Butterfly Effect is that the molecules of change being ignited by small acts of giving, will create a wave of good that ripples through our communities, spreads through our lives and leaves a mark on the next generation for good. Jeanne Bioarsky is one person who has been charged with kindling a fire in the hearts of our future leaders and philanthropists. As a third grade teacher, Jeanne spends countless hours creating a curriculum to fuel the minds of her students academically, but she is also interested in how they are developing as functioning members of our society. During the 2014-2015 academic year Jeanne used the help of a fellow kid to inspire her students to help make a difference. Robby Novak, better know as Kid President, was the voice that helped show Jeanne’s students that they CAN be a part of change in their school, community and the world. The class began the year by reading the book, ‘Kid President’s Guide to Being Awesome’. Jeanne knew as the year progressed this class, in particular, was special—she could see them being changed by their desire to Be the Change they wanted to see. As a big fan of the Butterfly Effect, she knew her class would be the perfect hands and feet to further our movement. “People always say they want to make a difference, but they can, you have to be willing to do something. Willing to find where you CAN make a difference,” says Jeanne. 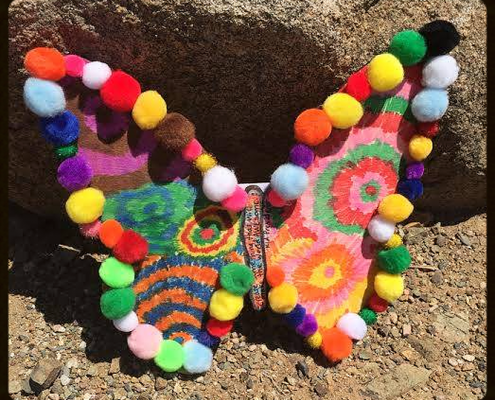 After presenting the idea of decorating a Butterfly and explaining the Drop and donations to her students, the excitement for creating more transformation in the community was palpable. All the students helped create a design and were apart of brainstorming possible Drop sites. The buzz trickled into families and the whole school community. These amazing Third Graders believe they can do something awesome, each one of them represents a droplet of change that will create a wave of good. 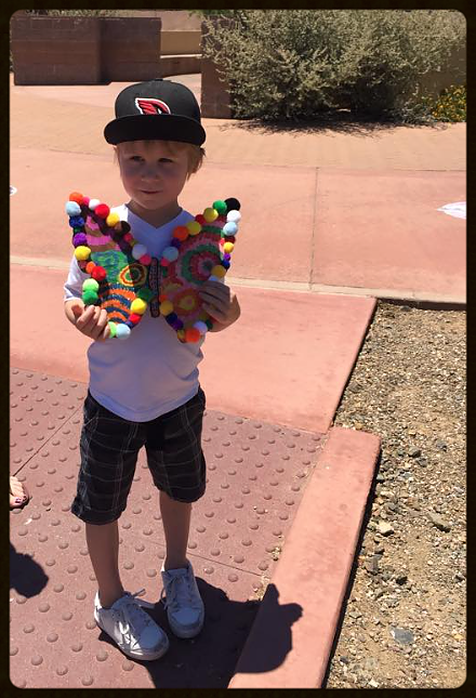 Fittingly the Mrs. Bioarsky’s class creation was Dropped at Butterfly Wonderland, America’s largest butterfly atrium in Scottsdale, Arizona. 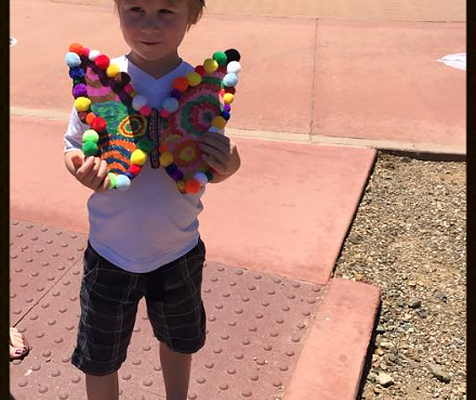 Butterfly Effect will be donating to Phoenix Children’s Hospital in honor of our finder, Chance. Thank you Jeanne for teaching our future leaders and philanthropists and for Being the Change!